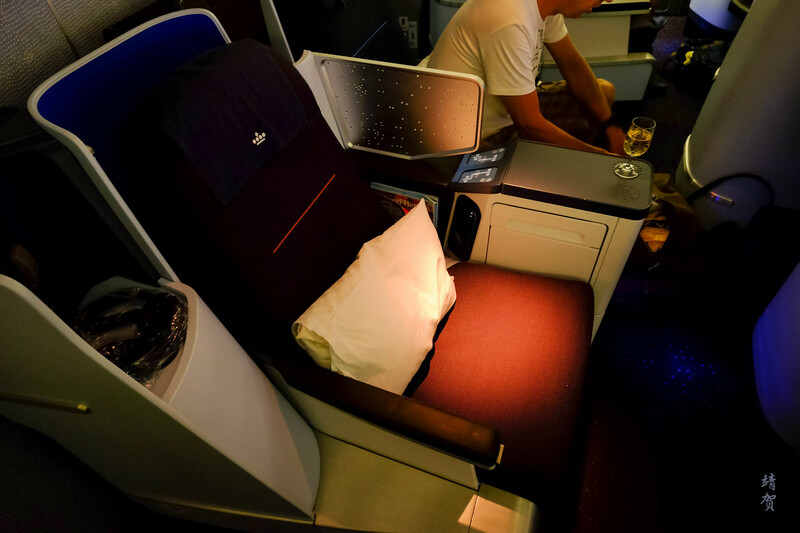 Prior to taking this flight, I have actually reviewed the same flight a few years back, but there was a new Business Class onboard KLM and this flight gave me the chance to compare how the new cabin feels in comparison to the old one. Boarding gate for this flight was a bit of a walk from the lounge though there was travellators in the terminal which made it easier to access. Queues were already forming for Economy Class when I arrived though there was a separate line for Sky Priority and Business Class passengers which means I was able to walk up to the front and board the flight immediately. Things did not really got a good start on this flight as I received a frosty welcome by the crew who curtly asked me if I needed directions as I showed her my boarding pass. I did know the way around an airplane for sure, but some friendly welcome would be much appreciated. 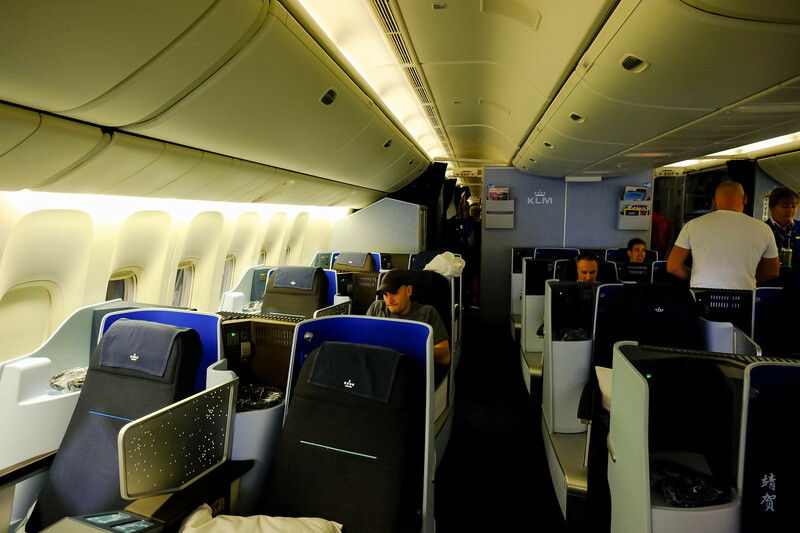 Compared to the old angled-flat seats and recliner style seats, the new cabin was definitely an upgrade with seating arranged in a 2-2-2 configuration, as opposed to the older 2-3-2 configuration. 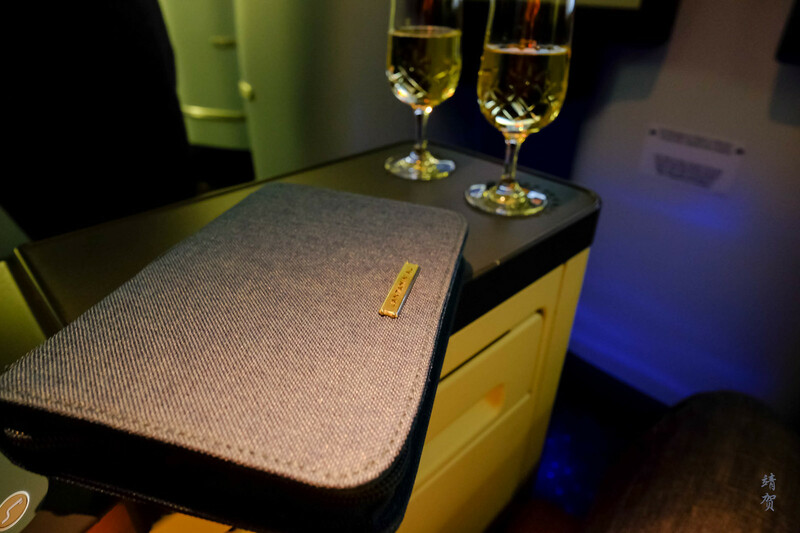 Another noticeable difference is that the cabin provides for more privacy due to the seat positioned at a slight angle from the axis, with a seat partition that can be adjusted when required. Business class was full today and I was offered a tray of welcome drinks with no description whatsoever by the crew. There was Heineken beer, champagne or orange juice on the tray. Another crew member came by with amenity kits. Since they have both a male and female version available, I asked for the female version which I figured would be useful for my sister. Contents inside consists of an eye mask, toothbrush and toothpaste, socks and chap-stick lip balm. 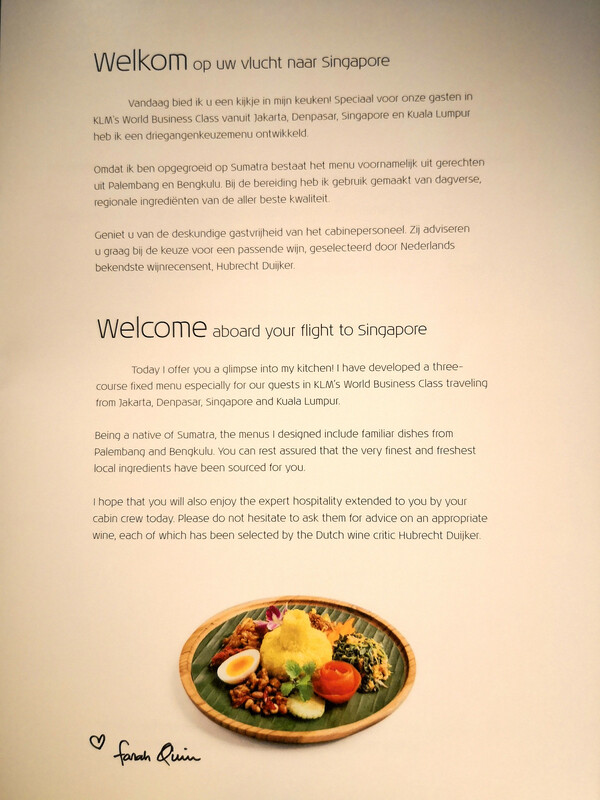 Menu and wine list were passed around the cabin as boarding was ongoing. 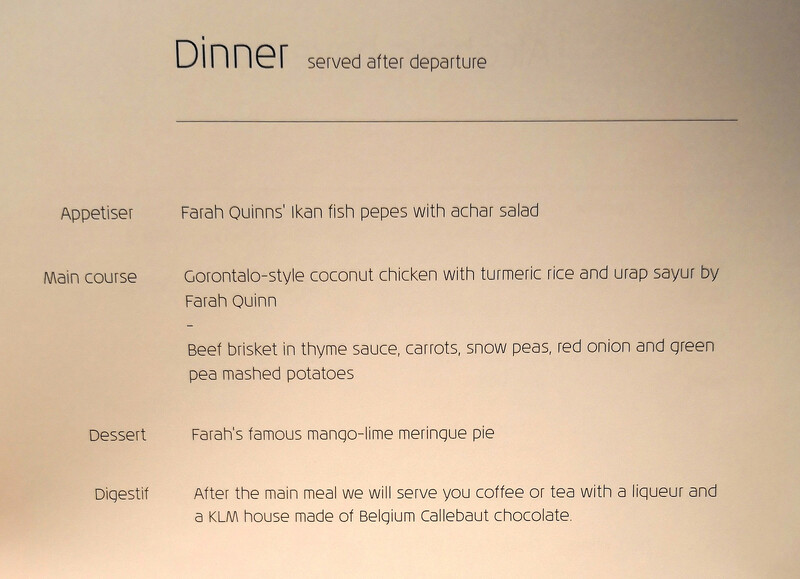 The menu for this flight was written in Dutch and English with a beverage list at the back and featured dishes by Farah Quinn. While boarding was ongoing, there was a welcome greeting by the crew and the purser onboard introduced herself as Barbara Ooi. This was perhaps as personal a greeting and interaction I had with the crew. Since I was taking plenty of photos, my seatmate got curious and I chatted a bit with him. It turns out his family has a chalet in Singaraja north of Bali where he spends summer at. If he ever reads this, please say hi on the comment below! 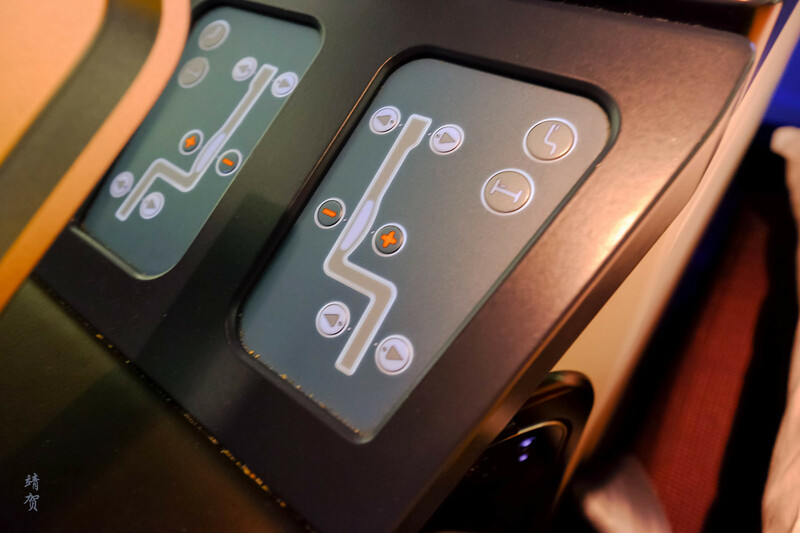 The seat controls can be found by the armrest and there are basic reclining and legrest extender functions along with a lumbar support adjustment. There was a one-touch button to recline the seat to a full flat bed and to move it back to a take-off and landing position. 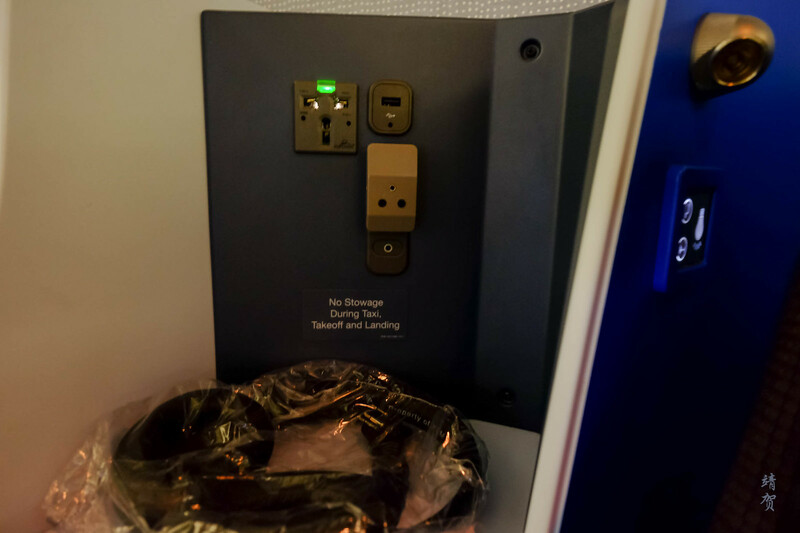 On the right side of the seat, there was a power outlet and a USB outlet with adequate space to store the headphones. There is also a reading light on the shell of the seat. 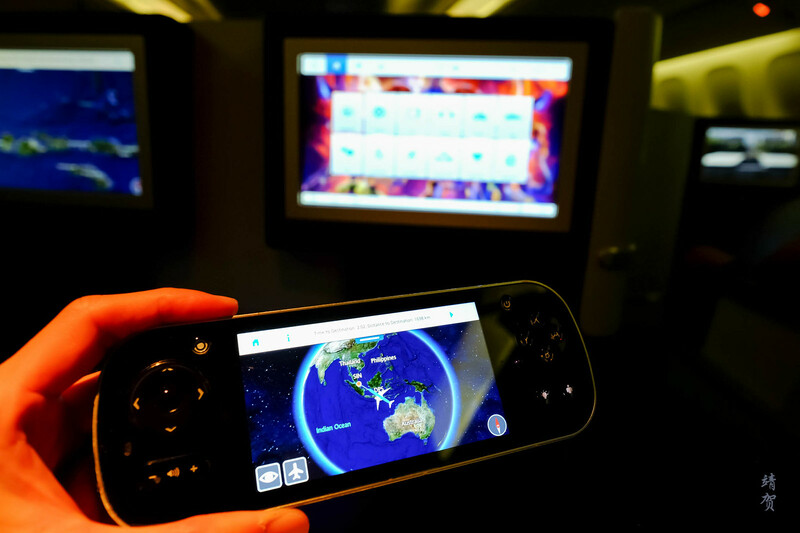 The best part of the upgraded cabin, though, has got to be the inflight entertainment screen which is now larger. The upgrade also meant a touch screen remote with its own mini screen. 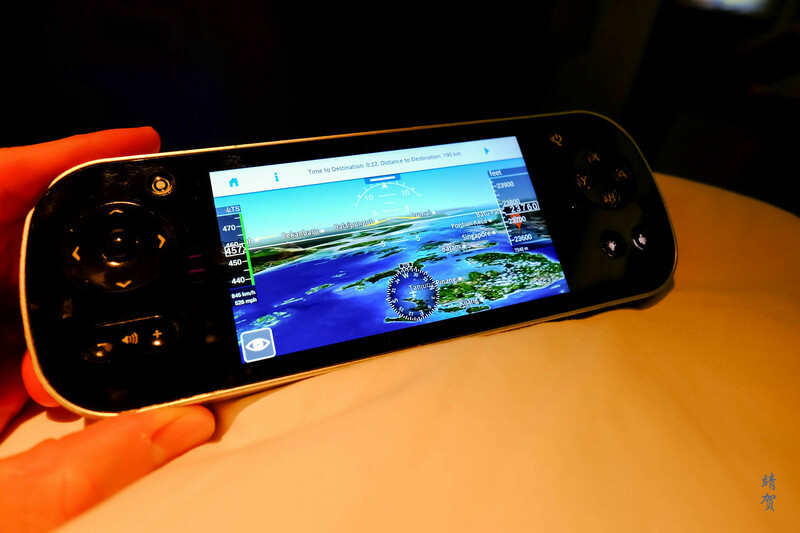 These little screen within the remote makes it easy to monitor your flight progress while watching your movie. Since the entertainment system could be used on the ground, I started watched the movie ‘The Commuter’ starring Liam Neeson. After an efficient boarding process, there was no wait for pullback and it looks like we would take off on time with no delay for the runway either. Shortly after reaching cruising altitude, the cabin crew went around the cabin to take meal and beverage orders. They passed out customs form for Singapore as well. I picked the dish by Farah Quinn which was a Gorontalo-style coconut chicken served with turmeric rice and urap sayur. The main course did not disappoint though the portion was somewhat small. 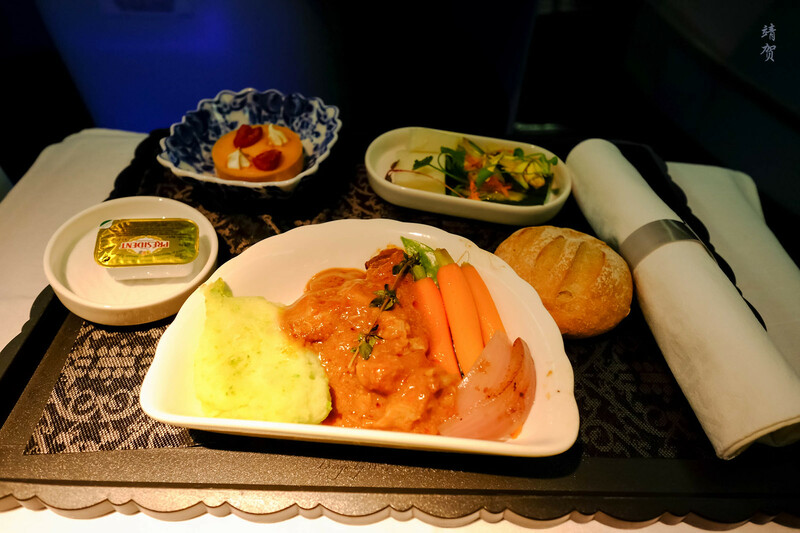 With the rich gravy, the tender chicken was very delectable for this short flight. The appetizer served with the dish was supposed to be ‘Ikan Pepes’ or as I know it to be a fish/fish cake wrapped in banana leaves and seasoned with herbs. This version was just some gelatinous fish cake that was near taste-less. 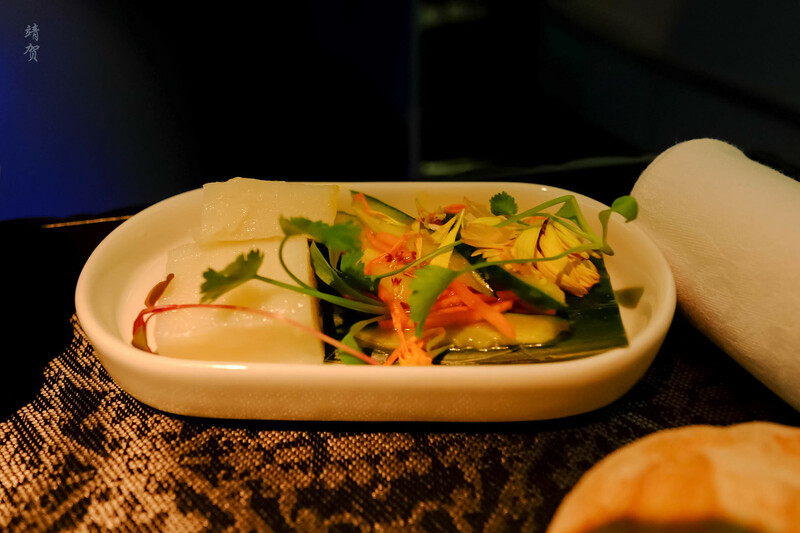 Even the achar salad lacks some tangy flavour, so the appetizer was not good at all. 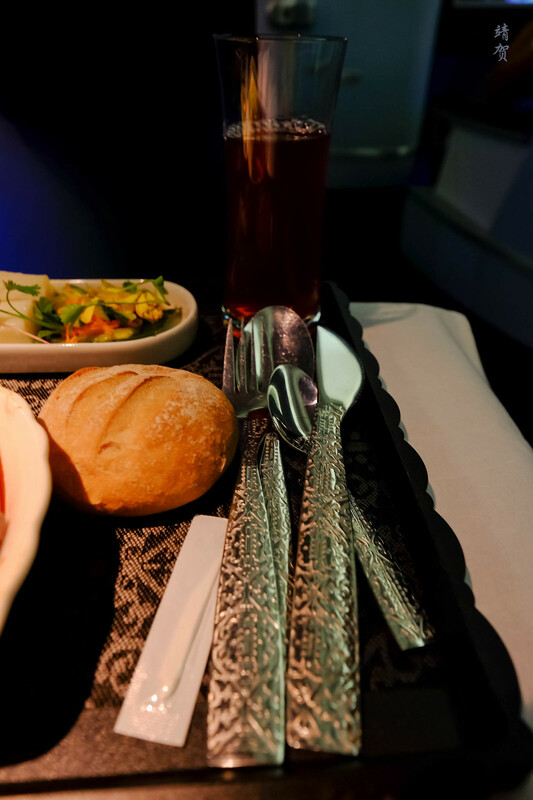 A roll of bread was included in the meal tray and it would serve to make passenger filled up since portions were mediocre. 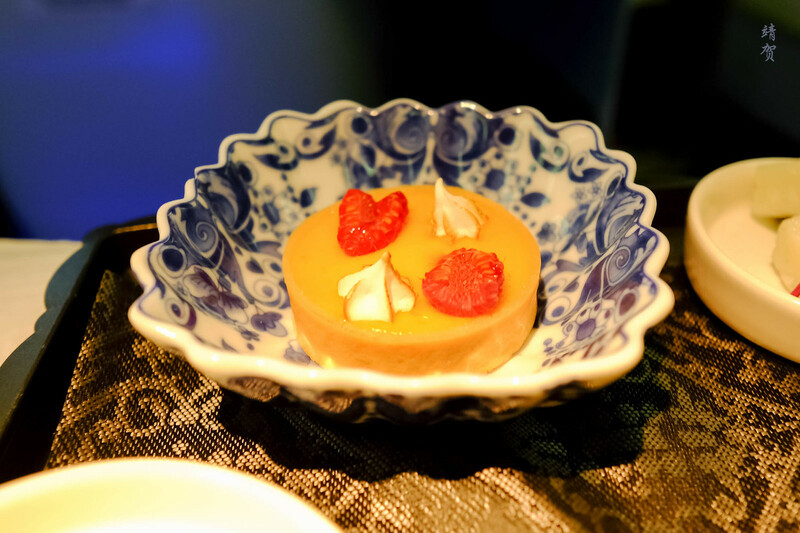 There was a small dessert placed alongside and the mango-lime meringue pie was tasty. While I had my meal, drinks were not topped up and there was no crew who checked on the passengers after the meal tray was distributed. 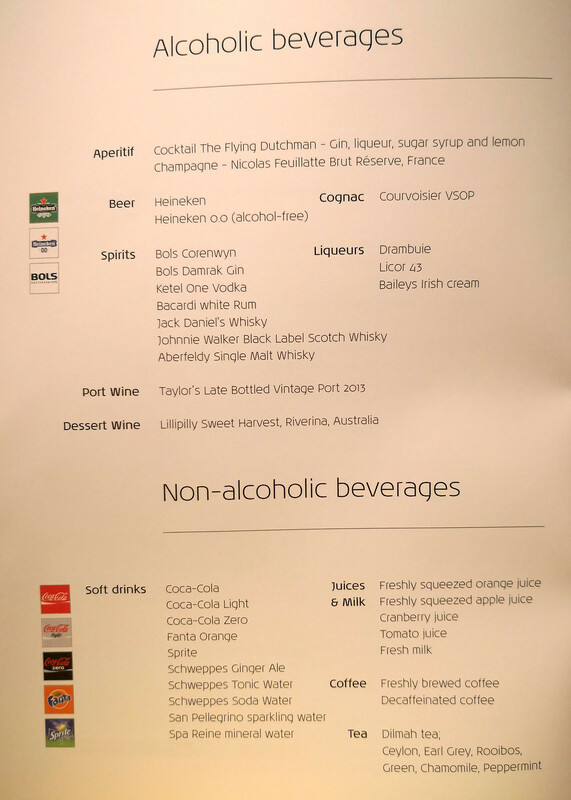 Since the airplane glasses only hold a small amount of drinks, I certainly would want some proactive addition of drinks during the meal service. 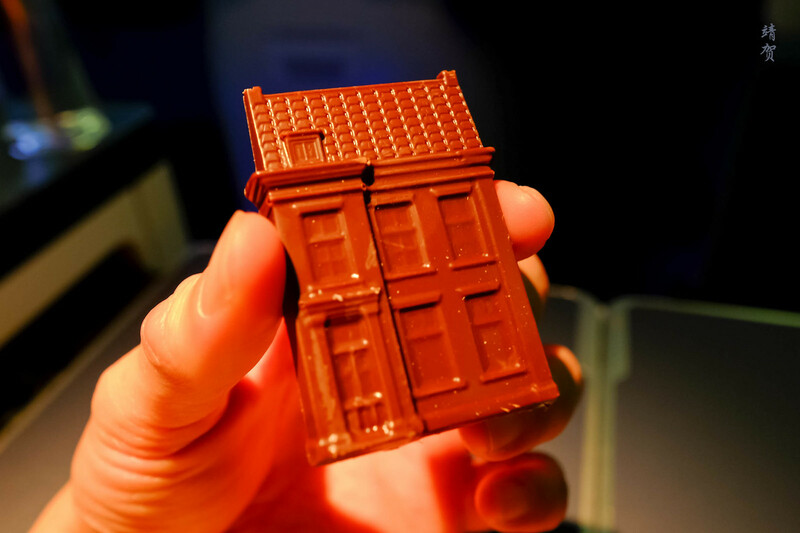 As indicated in the menu, coffee and tea was offered after the meal while chocolates in the shape of Dutch houses were distributed. 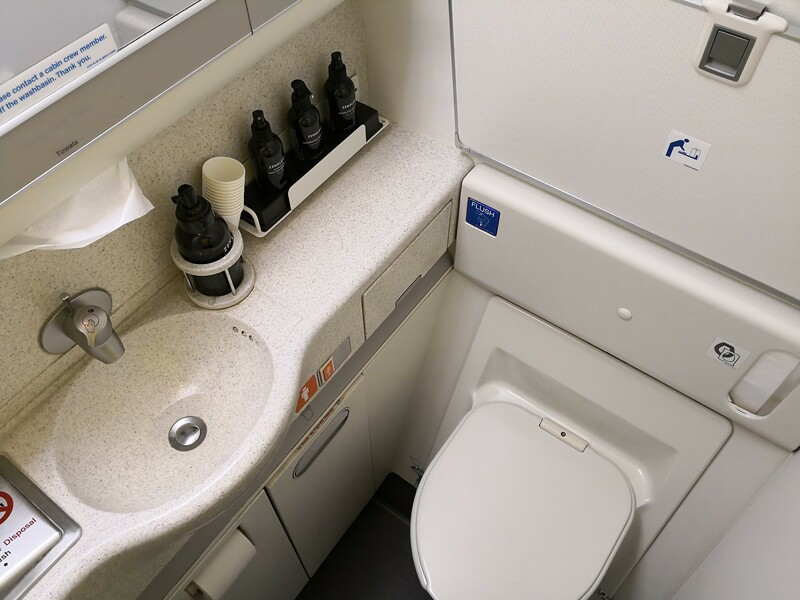 With the end of the meal, I head to one of the lavatories in the rear of the Business class cabin to freshen up. The lavatory was a standard fitting and has no special features. 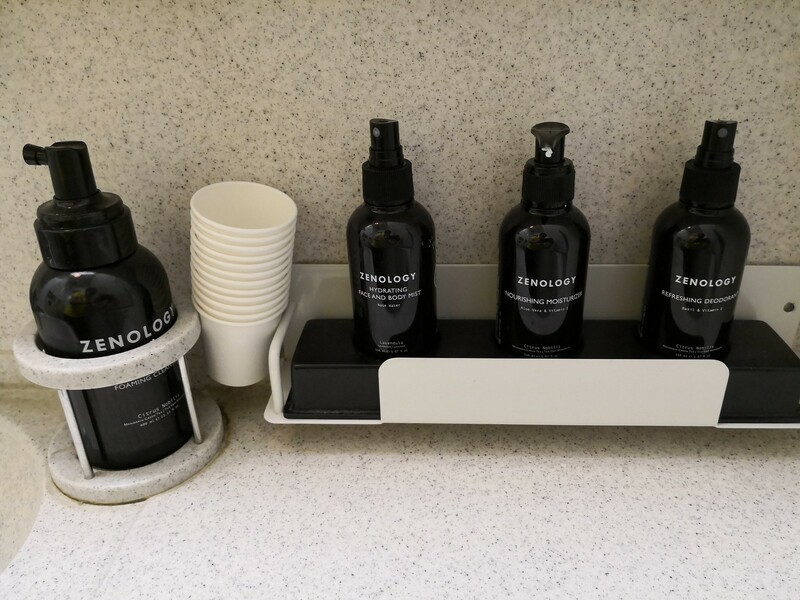 It did, however, feature some nice amenities by Zenology. There was a foaming hand soap, face and body mist spray, a moisturizer and a deodorant spray. 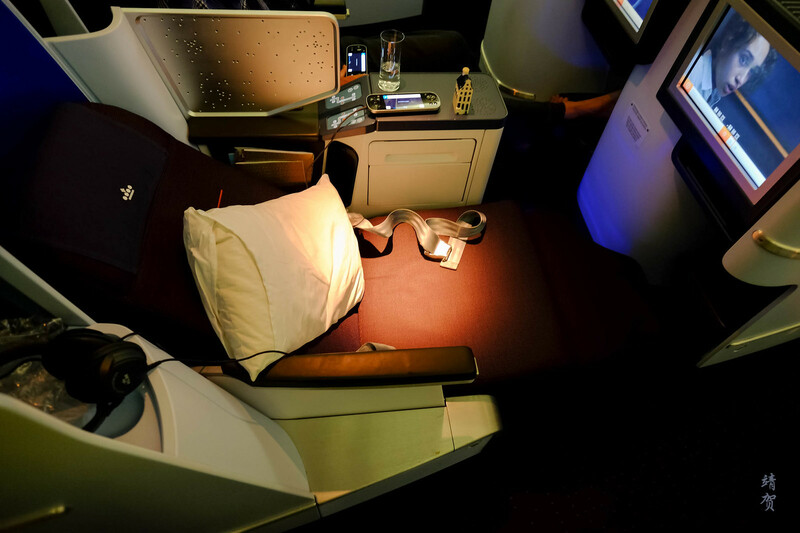 Back at my seat, I asked for a glass of water and reclined my seat to a bed mode. As I was a bit tired, I fell asleep easily and had a short nap before waking up as we started our descent. 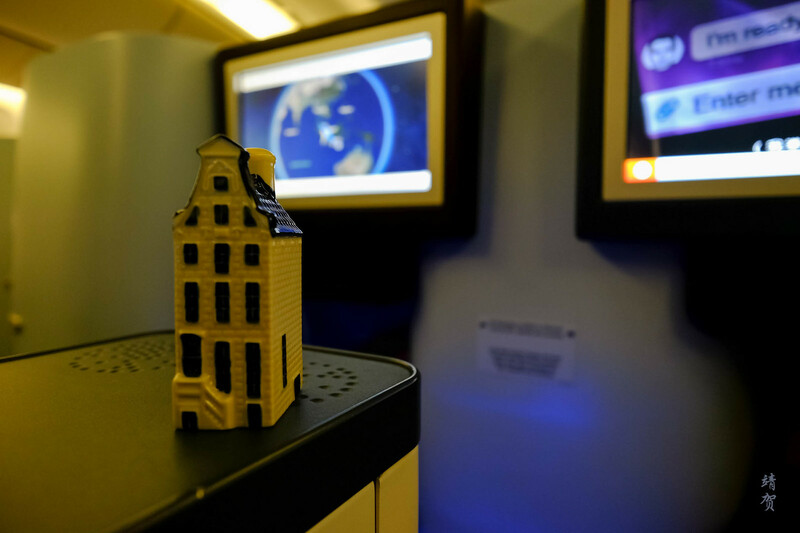 In between this time, I noticed there was already the famous KLM’s Delft houses placed on the armrest. It was nice to know the crew do not skip giving these out to passengers who fall asleep. With no window seat as I had booked the flight slightly late, I was content to just view the descent through the remote control itself. 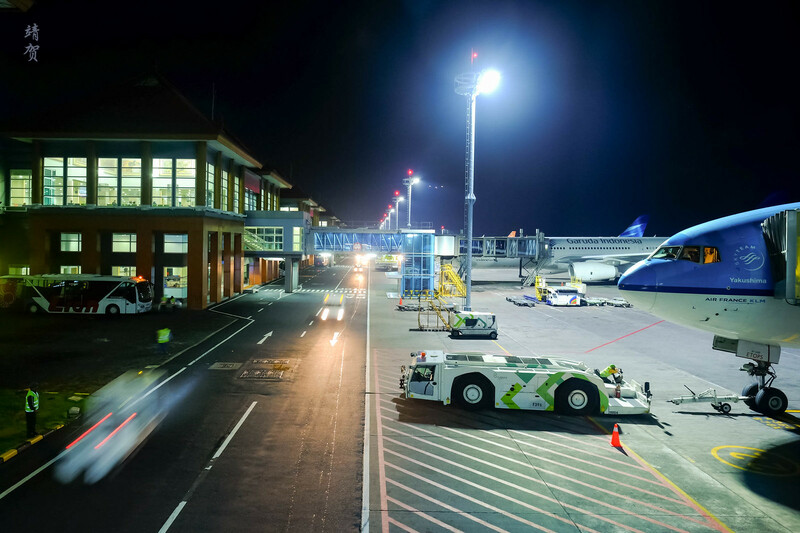 The seats needed to be put back to a full upright position for the landing and the crew went around in the last minute to entertain requests for customs forms and to ensure the cabin was ready for the landing. For this short flight, the full lie-flat seats was definitely an improvement and I was surprised there was even a good space in the cubby hole for the leg. 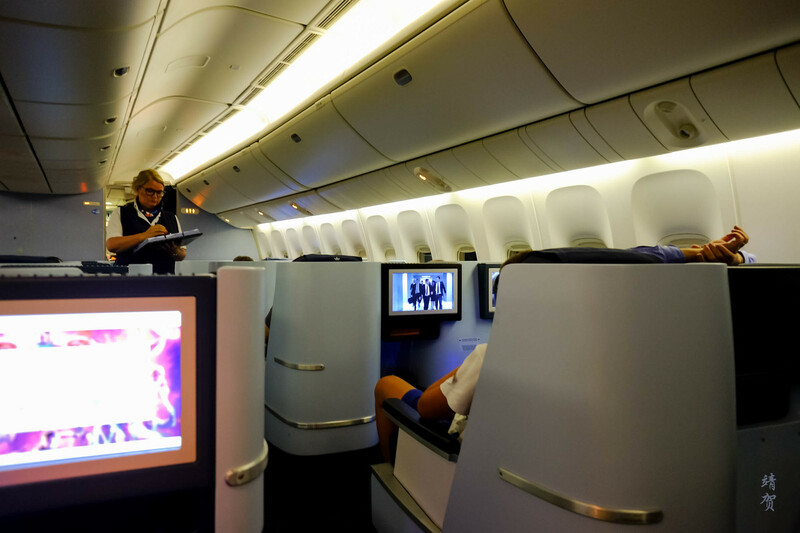 These seats are much better than the staggered seats on Delta’s 767 and Swiss Air’s 777-300ER as they have more space for the foot hole when the seat is reclined to a flat position. However the lack of aisle access for passengers on the window side means those seats are preferable for couples. 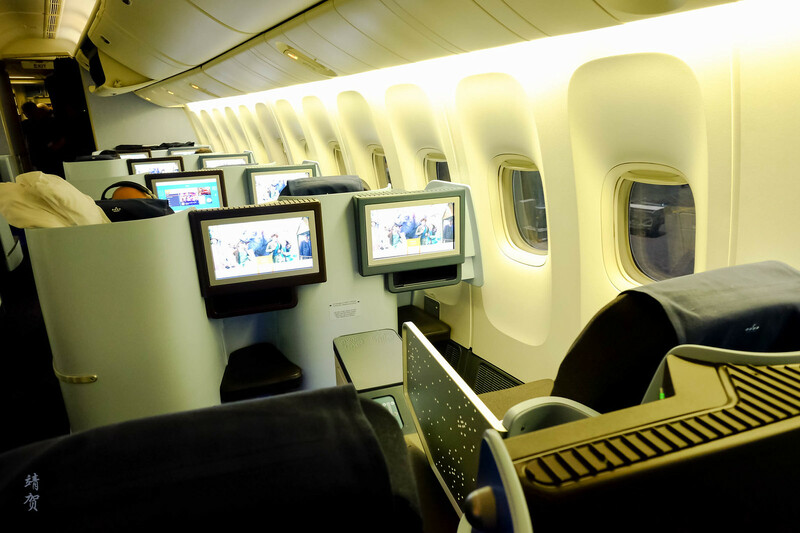 Solo travellers are better off taking the middle section with aisle access on both sides. 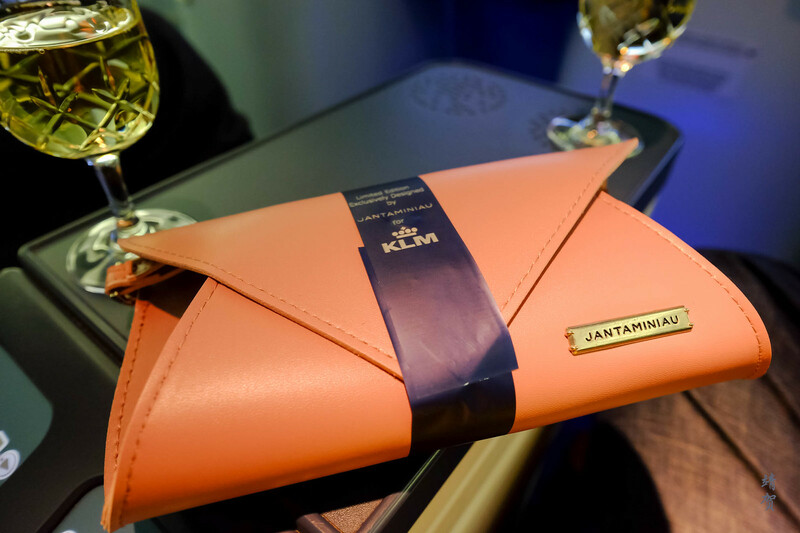 With improved hardware and better catering than last time, I would definitely consider KLM again. Now if only there could be an improvement in the service by the crew, KLM could be a nice airline to take to Europe from Asia.